SMBCEO.com is a VERY popular website with high metrics that it can not only boost your SERP rank, it also provides you a handsome amount of traffic to your website. This is a premium domain with very high Domain Authority, Trust Flow, and vigorous editorial screening. I am a PR and outreach expert, and I can help you do media outreach that gets results. 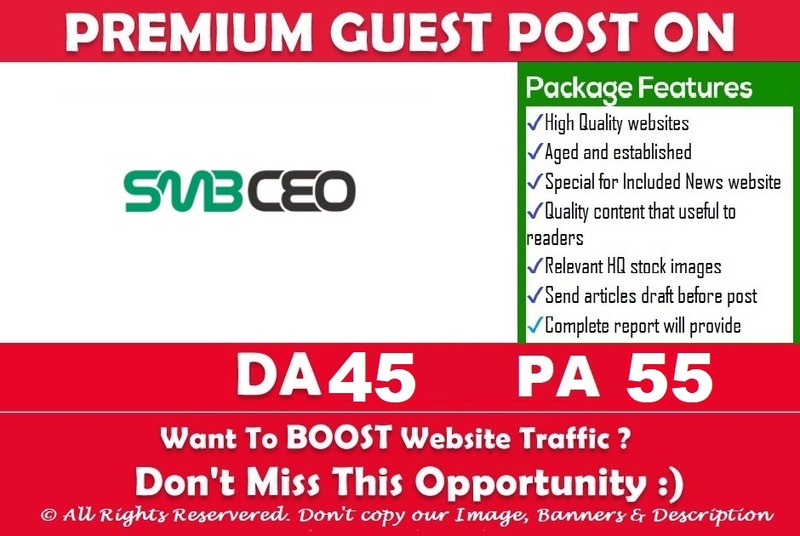 I will help you pitch SMBCEO.com to publish an article with a dofollow link to your site. ✔SEO Experts ✔Guest Posting ✔Outreach Experts ✔Link building ✔Niche Site Building. SEO Professional experienced in Guest Posting, link building With my techniques I can help you how to get your desired rankings. 100% white hat, Google Panda Penguin Safe and 100% ethical...Read moreSEO Professional experienced in Guest Posting, link building With my techniques I can help you how to get your desired rankings. 100% white hat, Google Panda Penguin Safe and 100% ethical professional. We work as a team. Our goal is to provide the services that help the clients to get more ROI. Customer satisfaction is our priority. 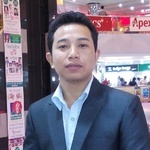 Our team consists of Article writers, SEO Experts and data entry experts. We have over 8 years experience and served hundreds of clients online and offline with the solid result. Our client's sites can bear any Google update. Full time working on Search Engine Optimization and Niche site-building. A few key facts of how I approach SEO for you. I can help you to rank your site higher in search engines and get more targeted traffic on your blog. Feel free to discuss any project.